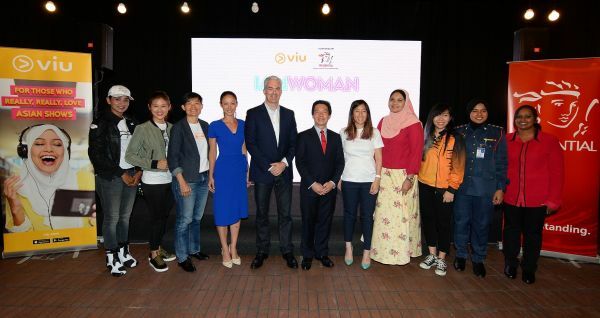 Vuclip, a PCCW Media company, and the leading premium video-on-demand service provider for emerging markets, today officially launched I AM WOMAN, a Malaysian production by and for OTT video service Viu. I AM WOMAN is a series celebrating extraordinary modern-day heroines, sharing the life stories of women who have found their strength in male-dominated fields. For this original production, Viu Malaysia partnered with leading life insurer Prudential Assurance Malaysia Berhad (Prudential). Viu is a leading OTT Video service with 26 million downloads across 15 markets including Hong Kong, Singapore, Malaysia, India, Indonesia, the Philippines, Thailand and the Middle East countries of Bahrain, Egypt, Jordan, Kuwait, Oman, Qatar, Saudi Arabia and the UAE. For Viu, Vuclip has developed more than 3,000 hours of compelling original content across Asia, investing in rising local talent by providing them with a platform for creativity, and reaching millennials with relevant content that they love. In the I AM WOMAN series, produced by Double Vision with a team headed by executive producer Min Lim, the women featured embrace speed, tough jobs, defence, rescue services, martial arts and more. From a stuntwoman to a motorsports competitor, from a welder, a builder and a lorry driver to an MMA fighter, a firefighter, a Navy shooter and long haul trailer driver, these women have challenged conventions and taken on careers where men used to rule supreme and when women used to be relegated to the side lines. Things have changed for the better. I AM WOMAN seeks to inspire and empower its audience, with host Alia Zecha pushing herself out of her comfort zone to walk in the footsteps of the amazing women featured in this series. These women had a passion and they pursued it without letting anyone or anything hold them down – and there is much we can learn from them. The 10-episode long I AM WOMAN series will be available on Viu starting 7 December 2017, with a new episode released weekly. 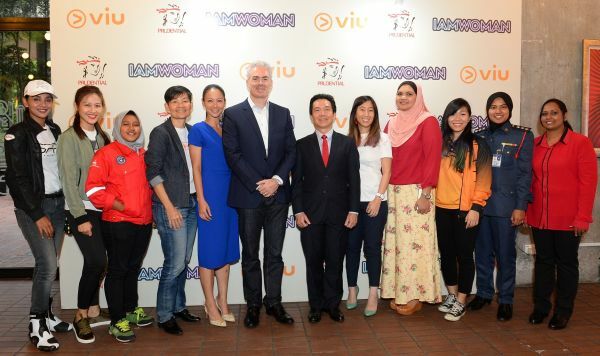 In conjunction with the release of I AM WOMAN, Prudential will be rewarding viewers with the chance to win a brand new iPhone, online shopping vouchers and Viu subscriptions. The contest will run until early January 2018, and viewers can learn more by visiting the Prudential Malaysia Facebook page at www.facebook.com/prudentialmalaysia. The series can be accessed at www.viu.com or on the Viu app, available for Android devices on Google Play or for iOS devices from Apple’s App Store. Find more updates about I AM WOMAN and other existing shows on Viu’s Facebook page and website at here.